A bear is on the loose in Selinsgrove. The bear was spotted Monday, August 23rd at the parking lot of the new Coles Hardware, according to a witness on the Snyder County, PA alerts and Happenings Facebook Page. Experts say it was probably a male black bear. 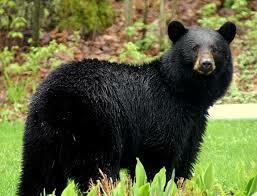 If you see the adventurous black bear, stay away!. This entry was posted on September 1, 2015 by Hilde Kate Lysiak and tagged bear, Hilde kate lysiak, Orange Street News, selinsgrove.